The Harbor Hospice vision for more than thirty-five years has been to bring empathy, expertise and excellence to end-of-life care. Each year, we serve more than 1,000 terminally ill patients and their families in Muskegon, Ottawa, Oceana, Mason and Newaygo Counties. 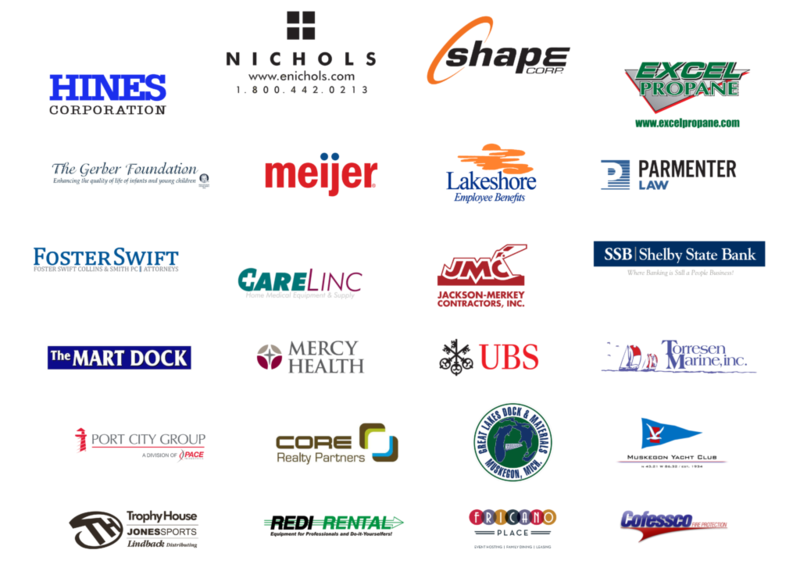 We thank our Corporate Partners, a network of businesses and organizations that provide financial support for the work we do through the Harbor Hospice Foundation. Annual and multi-year pledges receive 12 months of recognition and promotion acknowledging their philanthropic support of our mission through multiple communication venues. “Harbor Hospice cared for both of my parents. We feel that it is a valuable asset to our community. We like to support local charities. We feel Harbor Hospice deserves our support.” – Steve Jackson, Co-owner at Jackson-Merkey Contractors, Inc., Corporate Partner. We provide compassionate care for patients where ever they call home including in their own residence, in nursing homes and assisted living facilities, and at The Leila & Cyrus Poppen Hospice Residence. And we never turn away someone regardless of their ability to pay. 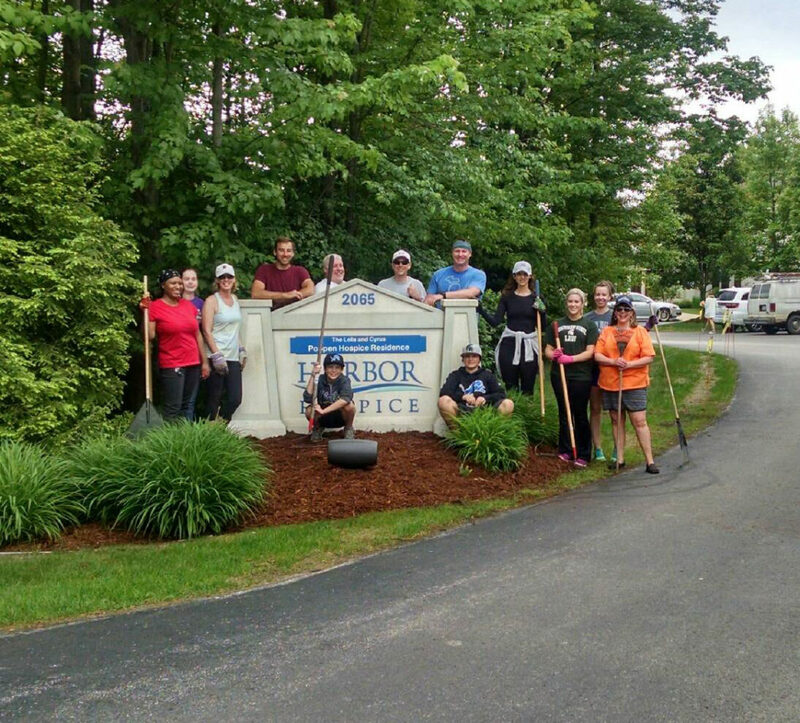 “We have been invited into thousands of families homes, each one is special; each one is a privilege, thank you to our local companies and businesses for supporting the Harbor Hospice Foundation as we continue to be of service to this community.” – Ammy Seymour, Director of Development at Harbor Hospice Foundation. “As lawyers, we find ourselves in the most private and personal reaches of our clients’ lives. The relationship is much more than paperwork. It is understanding, compassion and help when a family needs it most. We have worked with Harbor Hospice for many years and have witnessed, first hand, the relationship they foster with their patients. So similar are our approaches to helping families, the community partnership was a natural fit. Harbor Hospice and Parmenter O’Toole both recognize the deeply emotional and personal needs of the people we serve and the trust they put in us. That trust we both hold sacred. As our partnership develops and grows, we will learn from each other, inspire each other and take our passion for what we do to the West Michigan community.” – Chris Kelly, Managing Partner at Parmenter O’Toole, Corporate Partner. Our Corporate Partners are special partnerships that help support hospice and palliative care programs and services in the communities we serve. We couldn’t do this important work without the support of compassionate leaders and community members. In 2017, over $70,000 was contributed to our community-based not for profit agency. If your company or business is interested in coming a Corporate Partner, please contact Ammy Seymour at 231.728.3442/1.800.497.9559 or visit our website for additional information. Harbor Hospice, serving Muskegon, Oceana, Mason, Ottawa, and Newaygo counties.